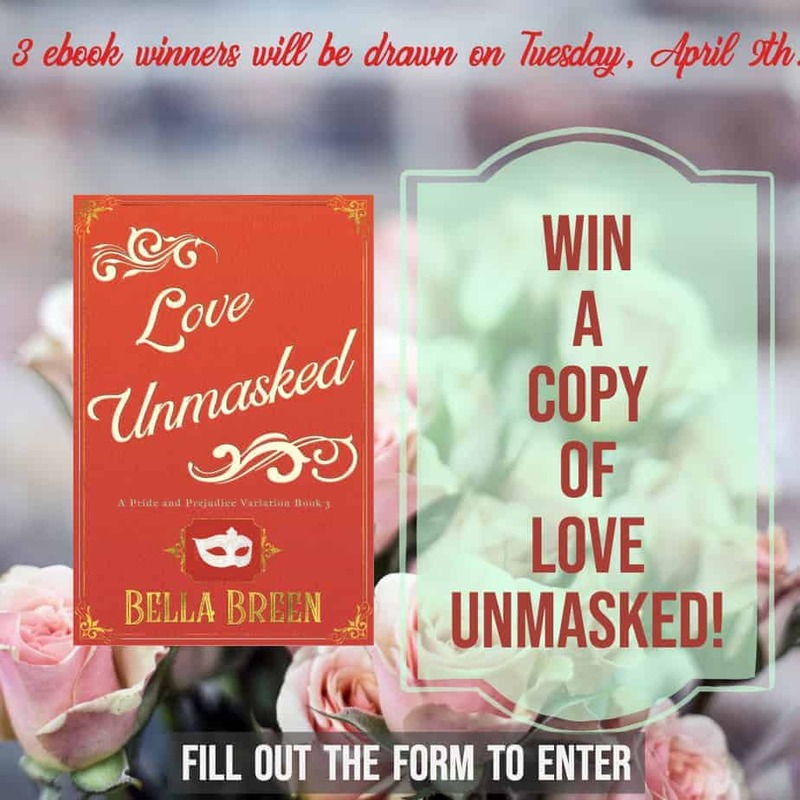 I’m giving away 3 copies of Love Unmasked on April 9th, Tuesday. Enter to win here. If you’re a member of my Facebook group Pride & Prejudice Variations, there’s a separate giveaway to enter for 1 of 2 copies given away. So you have double the chance to win!